Educators also receive curriculum kits. 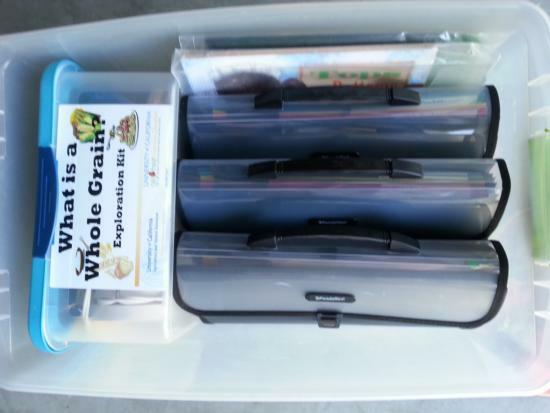 "No-Prep" kits include all the worksheets, parent letters, and materials needed to deliver the research-based nutrition education lessons. All nutrition curricula are research-based and aligned with California State Standards and Health Content Standards. Many of the nutrition curricula incorporate Math, English-Language Arts, Science, and History and Social Studies content standards. Food is inter-disciplinary, nutrition education should be too!